It's an end of an era for British advertising as Saatchi & Saatchi moves offices and the agency changes management. Campaign sat down with Robert Senior, Magnus Djaba and Arthur Sadoun to discuss what's ahead. Last week quietly marked the end of an era for British advertising. 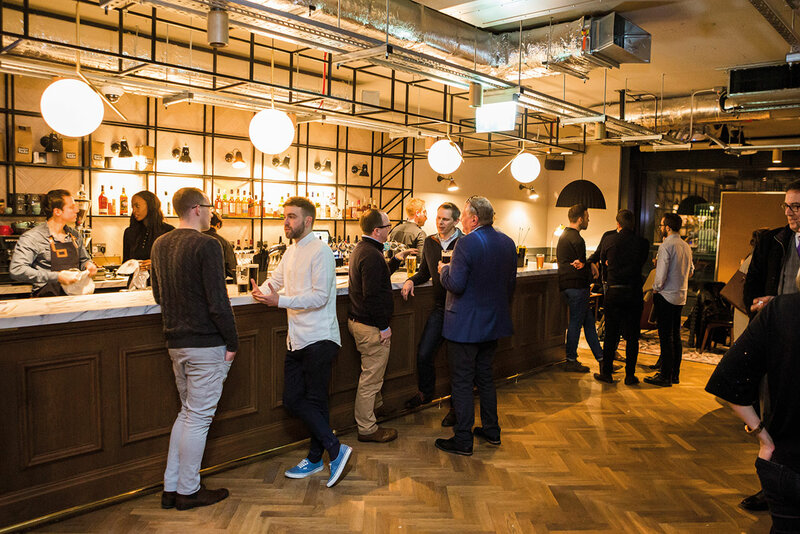 Saatchi & Saatchi moved out of its iconic home on Charlotte Street, from where it had infamously made its audacious assault on the world’s advertising stage, and moved in to new, modern offices in the heart of the City on Chancery Lane. It’s not hard to see the agency’s new neighborhood as a trope for the fate of the advertising industry: lying down with the money men as a definer of the business now, the swagger and the daring creativity gone to rubble. The challenge of proving quite how far from the truth this assumption really is will now fall to Magnus Djaba, the chief executive of Saatchi & Saatchi Fallon and newly anointed president of the Saatchis global network. Djaba takes over from Robert Senior, the fiercely passionate business leader who is a committed crusader for creativity. If it was Senior who, when he took on the network role in 2015, began the rediscovery of that swagger and even some of that creative daring that Saatchis had misplaced for a while, it’s now down to Djaba to nail it, working alongside global chairwoman and chief creative officer Kate Stanners and global chief strategy officer David Hackworthy to continue the reboot. That challenge comes as the agency’s parent, Publicis Groupe, prepares to deal with its own epoch watershed. After a year of major reengineering at the holding company, its chief Maurice Lévy is preparing to step down this May. Campaign sat down with Senior, Djaba and Arthur Sadoun, the chief executive of the creative agency group Publicis Communications and front-runner to replace Lévy, to discuss the changes. So Robert, this is the end of an era for you personally. Why are you leaving? RS: "I’m in the fortunate position now that I can be selfish and focus on all the things that I’ve had in the back of my mind for the last few years. This is definitely the most courageous decision I’ve ever taken in my career. And possibly the most stupid. "I love this brand, I love ideas, I love advertising, I’m very passionate about all of it. Of course I could carry on but I just feel, actually, no, there’s an itch and I need to scratch it and I’m going to go and see what happens. And that’s the only answer I can give as to why I’m leaving, because that’s the honest answer. "We’re in a new building, there’s a new energy, there are new platforms literally and metaphorically around the ideas and there’s no-one better suited to take all that on than Magnus." AS: "This is above all a great story about the most famous brand in the advertising world created by the Saatchi brothers. Publicis Groupe has always believed and supported the brand, Robert has taken the leadership in 2014. It is a rich British heritage that we are proud to have in our portfolio, a great advertising story. It is also a people story about people who have worked together for years and like each other; it’s a smooth transition through to the next generation. Magnus has his own character and will bring something new to Saatchi for sure but there is a line of connection there from Robert to Magnus and for me this is the best demonstration of the fact that we are working in continuity and not in disruption. The reason we are working in continuity is that we are very confident and we feel that there is a bright future for Saatchi & Saatchi within the Publicis Groupe. "But I will miss Robert a lot. I feel lucky and privileged to have worked with him and to keep him as a friend. We have built an incredible friendship and trust over the years. We come from the same background: we both believe that the beauty of this business lies in true creativity. But I’m not melancholy because I like what is happening here. I think it is a very nice story. It’s a nice personal story, it’s a nice team story, it’s a nice business story." Given all the changes that have happened at Publicis Communications, are you worried that this latest change could be misinterpreted? AS: "At the end of the day this is the truth. Robert has his personal reasons for wanting to move on and there’s a legitimate successor to take his job. And if neither Robert nor I were happy about this situation, Magnus would not be president. We would have brought in someone else, Magnus would have resigned. But you’re talking to a family here, and that’s a very important point. 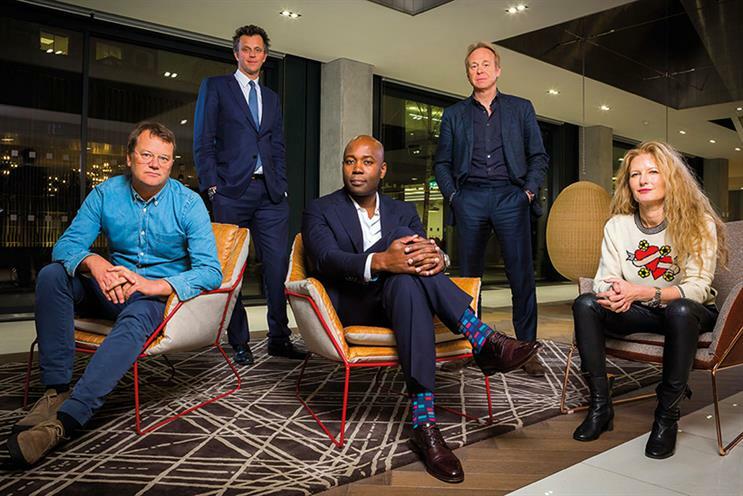 "For me there are four reasons why the Saatchi team is going to succeed. First, the incredible strength and attractiveness of the brand. We are not talking about Joe Schmoe and Jane Doe, we are talking about the most brilliant brand in the world, born in the UK. Second, Magnus is the natural successor to Robert and he is already a proven leader. Third, the team is already in place, people that know each other and trust each other. I believe you are ten times stronger when you know the good things and the bad things about each other and you are fighting together. And fourth, the role of an ad agency CEO has evolved incredibly in the last three years. Their core objective is still to deliver the best creative work but they now have to make that work through data and through the platform, using media and technology. "And Saatchi teams have now these tools in their hands to make any idea stronger. This is the Power of One, unleashing the power of all our assets. It’s not an easy thing because we are still learning how to work. And for me the biggest risk is to lose patience; we need patience to make sure it works and we can scale it. For some clients it’s already working wonderfully and for others it’s a problem because sometimes you lose the attention. But my feeling is that if we do it well we will leapfrog the competition." Magnus, you’re adding the global role to your job as CEO of Saatchi London. That’s a big step up. MD: "This is the perfect time for me to add responsibility because I’ve been doing this job for five years, we’re 50% bigger than we were, we are in this new building and we’re an integrated hub. I need to find another thing to add to what I was doing. We are all brilliantly restless people who want to deliver something brilliant and because of that we want to create opportunities for each other. "This agency is ready for me to add responsibility. I spend my time with clients and I’ve got a great team who run the agency. HSBC is run out of this office, Visa, Mondelez, Deutsche Telecom, the biggest bits of Procter & Gamble. So to me the global role is simply an extension to what I’ve been doing. The London agency has become the head office of the network in many ways and that’s energized the business here. At the same time I’m going to really enjoy understanding and getting a better perspective from different teams in other markets about some of their global clients." What do you think your biggest challenges are going to be? MD: "Experience tells me that what you think will be the real challenge turns out not to be and that you rarely see the biggest challenge coming. But the key for us is to do great work that works for our clients. If we do that, we’re going to grow and do well." AS: "My personal challenge is very simple: I need to continue to live the Groupe’s mantra 'No Silo'. If we can do this Publicis Groupe will be the only company in the world that can bring data, creativity and technology through the line. But the risk of doing this is to make the brands disappear. Don’t forget we are the first group that has decided to transform itself from a holding to one connecting company. "Through the brand and the culture of the brand you attract the best talent and clients. Saatchi will be at the centre of a seamless organisation that will provide clients with everything they need when it comes to technology and media. At the core of our brands is creativity and both Saatchi and Publicis track record are clear, we stand for creativity. "So I need to break the silos at a country level but I’ve also got to invest in my brands." You talk a lot about collaboration across the group, but also the need to keep investing in your agency brands. Are you clear what the different characteristics are of your agencies in London, given that they’re sharing group resources? AS: "At a global level, first of all it’s really important to create differences. If you look at the profiles of the global leaders, Valerie Henaff in France (global president of Publicis Worldwide), Magnus and Rich (Stoddart, CEO at Leo Burnett Worldwide), they couldn’t be more different. They are people with different backgrounds and different expertise on different clients and that’s incarnate in a kind of energy and leadership that’s so different. And I love that, because it gives me the opportunity if I go to a global client who wants to pitch, if I don’t have any conflict issue, to say you can choose from three unique teams. And you buy people before before you buy positioning. But when it comes to positioning I think that "Nothing is Impossible" is a statement and is clearly differentiating. I think that 'Lead the change' is something that’s working very well for Publicis. And I think that Humankind at Leo Burnett is a great idea in a world where behavioral data & human connection are so important." There was wild speculation at the end of last year that the Saatchi brand would be sold off or retired. Was that rumor grounded in any fact? AS: "Saatchi is a famous brand everywhere, with such strong brand equity. I heard the rumors, but it was crazy. We never even thought of it. Quite the opposite. I’m a brand guy, I’m here to build brands. I’m not going to make the Saatchi brand disappear." But do you think the brand took a hit with the Kevin Roberts farrago (after comments that Roberts made on gender diversity provoked a storm of criticism)? AS: "The brand took a hit when Kevin said what he said and did not withdraw it within 30 minutes. But I do think it is behind us for two reasons. First, because what he said is definitely not what we think. And secondly, because it took less than 24 hours to Maurice Lévy to suspend Kevin. We have been impeccable with the way we acted; you don’t mess with our values." The loss of Toyota was another big blow for Saatchi & Saatchi last year. What lessons did you learn from losing such a significant client? AS: "Toyota is still a very important client for us but it has made a choice to align part of its business with another agency (CHI and The & Partnership). It won’t change anything to our loyalty and commitment to Toyota. But this is the name of the game now. Four weeks later we took from WPP all the FCA business for Europe and Asia together with Leo Burnett and Starcom. This is clear demonstration of The Power of One. "Of course, there are lessons for us, from the bad news on Toyota to the good news on FCA, the lesson is the same: now it’s all about consolidation and our ability to offer an end-to-end model to our clients. "Take all that we’ve won in the past year – including Walmart, Asda, FCA, Visa, HP – we’ve never won so much business, thanks to this idea that if you don’t build this end-to-end model with the consumer at the core, you lose. "But it’s one thing to promise that you are going to integrate, it’s another to really deliver. A lot of people are promising a lot of things that structurally they just can’t deliver." RS: "We should have seen it coming, although I can tell you as surprises go it was right up there. But sometimes that happens. We did it on Asda [which Saatchi & Saatchi and its sister media agency Blue 449 took from VCCP and Carat in Spring 2016]. "The world is becoming like that and you’ve got to be on the front foot and be calling the meetings rather than hearing about them afterwards. You’ve got to let clients know what they’re missing out on [from not working with the agency end-to-end] because if you don’t, someone else will. That’s one thing we’ve learnt, that’s the lesson. I genuinely think that if there’s one group of people who are set to succeed in that world they are sitting right here, by virtue of who they are, where they are, the brand they have and the person they report to." So that’s succession management at Saatchis sorted then, Arthur. Now are we going to be talking about you succeeding Maurice Lévy in a few weeks time? AS: I’ve absolutely no comment. Zero.